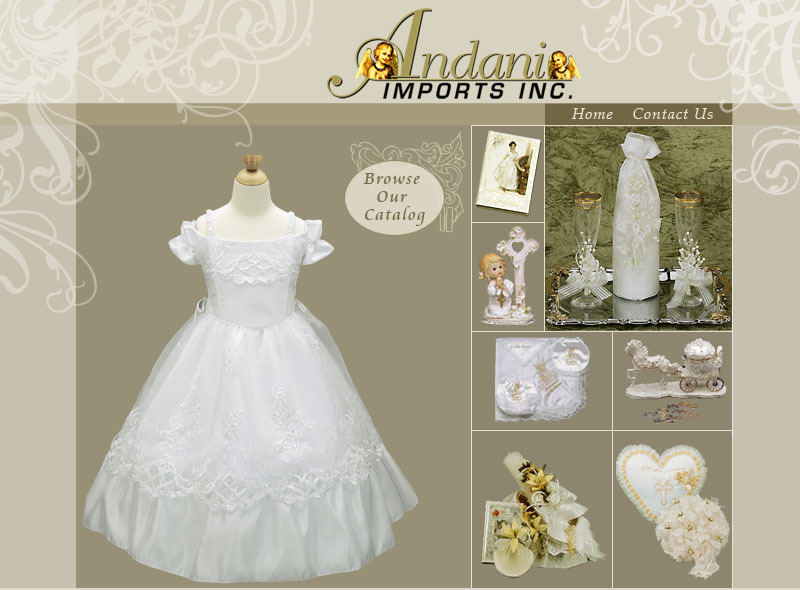 Welcome to Andani Imports, Inc.
Importer & manufacturer of religious goods, handcrafted gifts and Anfra Collection items. We are a family owned and operating company since 1996. Our extensive line of products include accessories, gifts, formal wear, keepsakes, ribbons, ceramics for different occasions: Weddings, 15 years, baptism, communion and baby shower. We offer a wide selection of quality products at a very competitive price. Our website is intended exclusively for people with businesses. Please have your business information ready to expedite your call. Copyright © 2006 Andani Imports Inc.